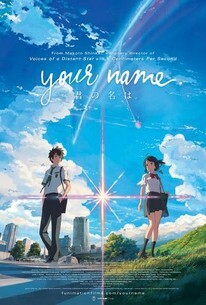 Within the first ten minutes of “Your Name” I wanted to leave the theater, ask for my money back, and go home and take a nap. The confusion of which this movie threw at me was overwhelming and not very interesting. With an opening that resembled a TV show theme song and characters doing things that didn’t make much sense, I was ready to write the movie off. I know self-indulgence when I see it, and the groundwork felt like it had been laid long before I got there. In the middle of the movie those weaknesses became strengths, and I laughed, cried, and clapped as I rooted for the characters to continue their journey of self-discovery. By the end, I had been witness to something beautiful and unique; a rare movie experience that that touches on the senses, the mind, and the heart. For the first ten minutes I wanted to leave the theater. Ten minutes after it was over I wanted to experience it again. I will explain this upfront so that there is no confusion going into this like there was for me: a boy and a girl wake up on random days and find that they are living in the others body. This wasn’t made abundantly clear at the beginning, so hopefully this will clear a few things up for those not used to Japan’s style of leisure story telling. It is true that patiently taking the movie in will get you a lot farther than constantly trying to figure out why things are happening (and this was all eventually explained), but hopefully reveling this here will give you readers a chance to do just that. Knowing this information upfront will free you up to observe the daily lives of the characters. 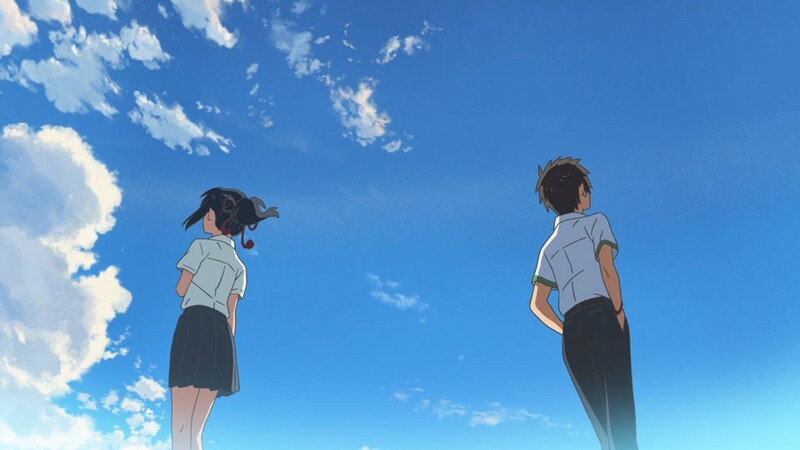 It will give you the chance to see how Taki reacts to being a girl’s body, living in a small Japanese village, and see how Mitsuha enjoys her role as a male waiter working in Tokyo. Both are unsatisfied with their lives. And while they could never have possibly predicted they would live another life in the way they have, the opportunity gives them insight of not only other people, but themselves as well. They talk to each other with notes on their cell phones and in diaries, and it’s fun to see them get to know each other. Of course, an interest between the two is inevitable, but the trick is not to fool the audience into not seeing what’s coming, but to make what’s coming involving and interesting. The different dynamics the two experience during the body swapping is funny, yes, but it also ponders the idea behind identity and living a life that is not your own. It explores these themes with humor and tragedy. Rarely have I seen a film as observant and wise about human experiences as with this one, but I suppose it shouldn’t have surprised me when I discovered the film was written and directed by Makoto Shinkai. Shinkai is a director who makes movies Terrence Malick might make if he worked in the field of animation. His previous films include “5 Centimeters Per Second” and “The Place Promised in Our Early Days,” where he pondered the meaning of life and how people fit into the world with movies that were slow, observant, and calm. He is able to see the beauty in life while unable to ignore the loneliness it surrounds us with. 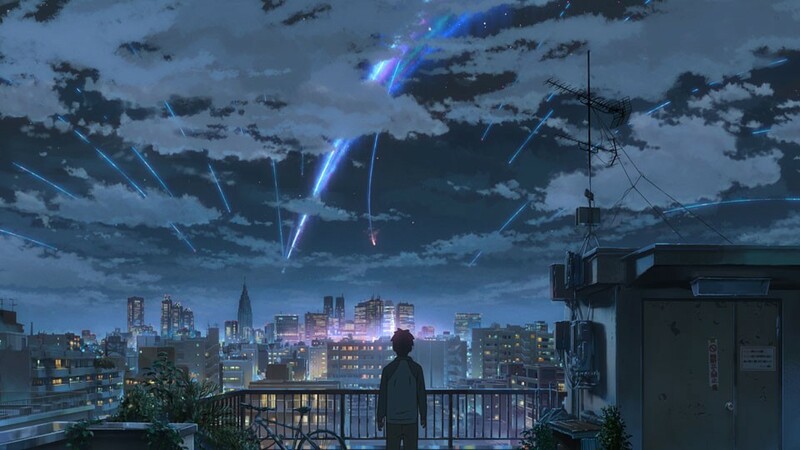 In some way, “Your Name” might just be the most optimistic film he’s made. There are moments of great sadness and the final act is sure to leave audiences breathless by the events that are to take place. You may have to look hard to find it, but it’s there. The characters don’t always say what’s on their mind, but they give the right looks so that you know what they are feeling. There are many shots of nature and beautiful buildings, but they are all part of the spiritual journey unfolding. For many, this may be their first introduction to a form of storytelling that relies more on visual observation than lots of dialog. Many might even find themselves enjoying it since the style is introduced slowly rather than at a breakneck speed. 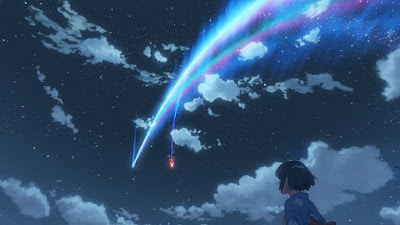 Comparing this movie to others he’s made, Shinkai discovered that a profound way to get the audience interested is to start out with high spirits before slowly reveling the hardships that are to come. While I like many of his previous movies, they are so gloomy you would be hard-pressed to think he was working in a medium that got its start by entertaining people with goofy gags. I’m not saying you need to start the journey lighthearted, but this time around I think it helps the audience care about the characters whose fates we are going to be witnessing. As such, “Your Voice” starts out a little uneven in how it tells the story, but shapes up to become one of the most beautiful experiences you’re likely to get from a movie. It touches your heart the way few movies do, and it creates a journey that breathtaking not only to the eyes, but to the soul. I know some will pass this up because the anime style that is utilized. 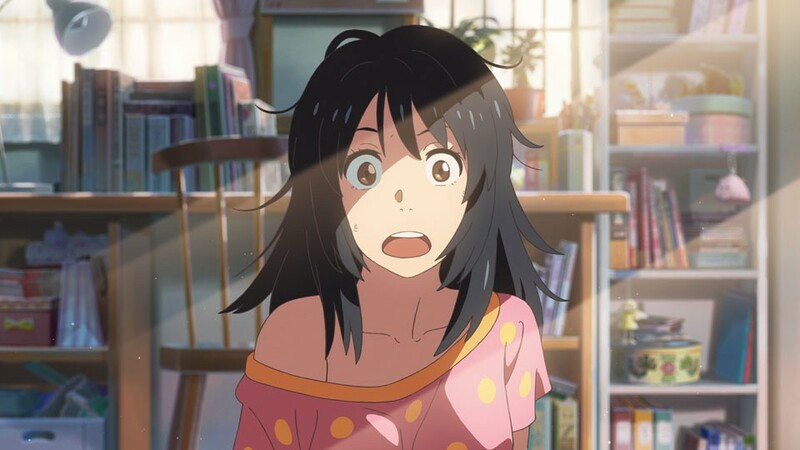 This would be a shame if you fall into that category, as anime is nothing more than an art form, and not everything looks like “Dragon Ball Z.” Despite the family friendly PG-rating, “Your Name” is a movie that I believe will speak to an adult audience who have lived enough life to understand how unfair it can be, as well as preparing a teenage audience for some of the pitfalls they are likely to encounter down the road. Shinkai himself has come out and claimed the film isn’t perfect. 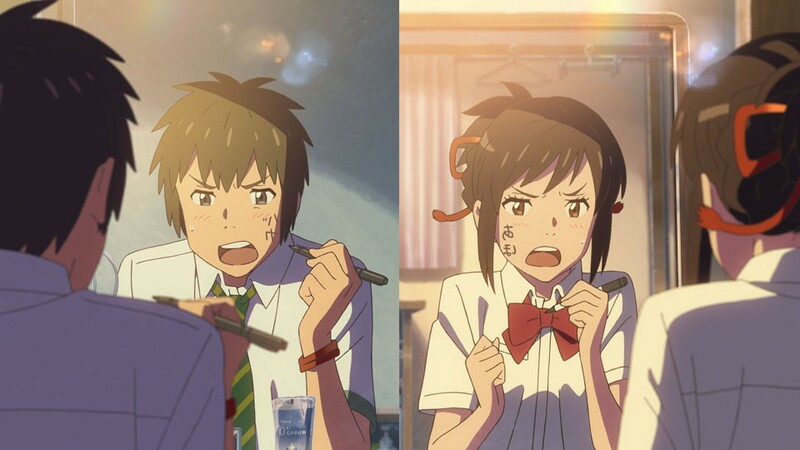 True, there are imperfections in the storytelling, but somehow that makes “Your Name” all the more human, and all the more perfect when all is said and done. Parents, there is some minor language as well as a few scenes of a girl foddling her breasts. The final act also has some genuinely intense, emotional moments. Recommended for ages 10 and up.